Shopify is a web-based Ecommerce application that makes it simple to set-up and manage an online shop, perfect for any size business. Shopify offers product inventory management and order management, as well as content management, and payment gateway integration. Shopify provides a reliable, secure shopping cart solution for your ecommerce website. The shopping cart software allows you to accept credit cards payments by integrating with Australian payment gateways like Eway and SecurePay as well as PayPal. The built-in CMS feature allows you to create webpages, blog about products and more. Learn where your businesses' customers come from. We also integrate with Google Analytics. Shopify + Jimmyweb = Awesome! We are your local Sydney Shopify experts. We've been building online shops with Shopify here in Sydney for around 10 years and have watched as this ecommerce platform has grown into a full featured framework. We continue to enjoy working with Shopify, pushing the boundaries of what this ecommerce platform can do for our clients, both here in Sydney and around Australia. We can create a beautiful and responsive e-commerce store, setup the Shopify account for you and take care of all the technical stuff, so you can focus on starting your online business and selling online! From concept to completion, we are your one-stop shop providing custom Shopify Design and Development services for clients large and small. We've helped clients sell almost anything using Shopify, from physical goods like handbags, bridal fabrics and tea, to services like sewing classes and scuba diving classes, to digital downloads like strata inspection reports and sewing patterns. If you have something to sell, we can design and build a Shopify site and everything you need to sell your products online. Once your store is ready to go live, we provided training on how to use Shopify and get the most opportunities out of your store. We'll guide you with setting up your bank and payment gateway accounts, helping you to avoid any problems. Any time you need help, contact our friendly development team and we can explain new or unfamiliar technology in clear language. We are Sydney Shopify experts and are here to help. Our support plans are not just for our existing customers, if you had a theme designed by another designer or bought a Shopify theme and need help, get in touch. Focus less on Shopify, more on your business. If you have a Shopify store and would like support to help you get the most out of your website, we can help. We empower you to build your business by training you to use Shopify efficiently. On a Shopify support contract you will have access to your own Shopify Experts who can guide you, walk you through new features and fix up any minor issues with your online shop. You'll also have access to a discounted rate - making it cheaper to develop new features, change elements of the design or get help with Shopify Apps. Think of it as insurance for your online business. You might not use us that much, but the moment something goes wrong, we'll be ready. The benefit of constant improvement. A Shopify support plan isn't just about being able to answer questions and fix bugs. There is a real, tangible benefit to constant incremental improvements to your online shop. It is best practice to build, assess, modify, assess and repeat. This is what the big online shops do. They don't just build the website and let it run. Your online shop should constantly evolve. Constantly improve. Create new content, fix a styling issue, tweak the checkout process. Improve over and over again. With our Shopify Support Plans, you are budgeting for this process, locking in a plan to improve your website over the following 12 months at a fixed price. Team of experienced Shopify Experts at your fingertips. Work scheduled as next available. Up to 1 hour a month of scheduled training via phone or online via skype. Get 10% off a new custom theme design requested within the 12 month contract. Work scheduled as a priority. Up to 2 hours a month of scheduled training via phone, skype or in-person training in our office in Sydney. Up to 6 hours of work included each month. Get 15% off a new custom theme design requested within the 12 month contract. We can help you with your Shopify website, on an ad-hoc basis, simply charging by the hour. Work is usually allocated on a first come - first served basis. Great for clients who need a bit of help with Shopify, and want peace of mind - knowing that we're here and ready to jump in and quickly fix any problems. Our Premium Shopify Support is for clients who want fast, priority support and want to get a lot of work done on their website, to make the most out of every opportunity. How our support plans can help you. Need help answering questions about Shopify, payment gateways, shipping and taxes? Need help finding a Shopify App that can do what you need? Don't wait for an answer from Shopify. We can help. Want to tweak the Shopify design a little? Change fonts, simple style changes, change colours. Change the design of the product zoom window. Add a new template. Any basic theme formatting changes. 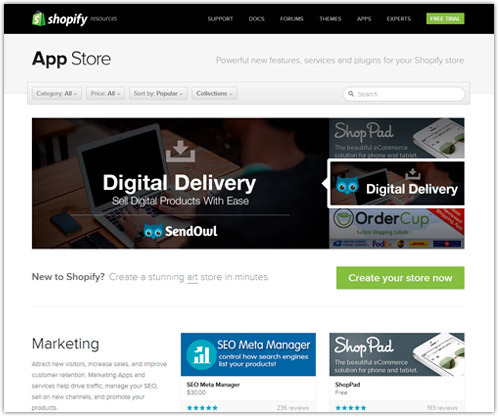 We can set up different Shopify Apps to work with your online shop. Don't waste time searching online for answers. We've worked with quite a few Shopify Apps over the years and can set them up for you, and show you how to use them. Do you have some annoying issues that seem to take forever to fix and figure out: updating collections, problem products, configure shipping settings etc. We can take care of them for you, so you can focus on selling. 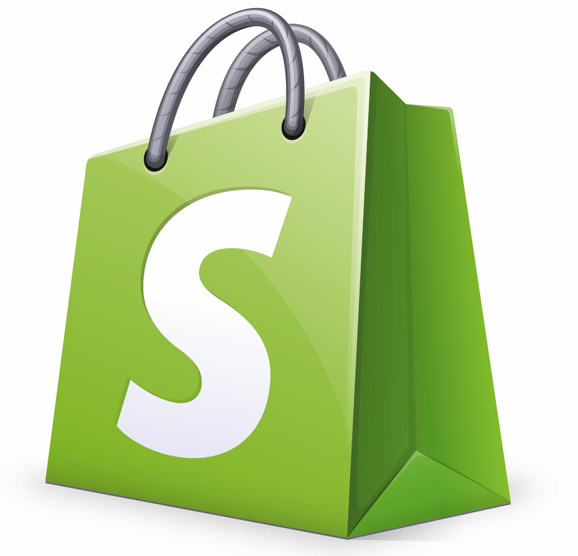 The Shopify App Store has a collection of free and premium plugins that extend the functionality of your online store. It is a great way to add more specialized features to your online shop. Shopify Marketing Apps help to drive traffic and promote your products. Streamline your shipping process with some of the Shopify Shipping Apps (some designed specifically for Australia), making it as fast and smooth as possible for your customers. For many online shops, managing the flow of data between the store and other internal systems is critical. We can custom develop solutions that allow you to build on Shopify and add new features. Using the Shopify API we can add new functionality to Shopify to suit your needs. If there's a feature you need that Shopify or a Shopify App can't already do, we can custom build it for you. Love Handbags is an online shop built on Shopify. At Love Handbags you will find quality ladies and Women's leather handbags and canvas bags. The website was designed to look modern with a super minimalist clean appearance that focuses the viewers attention on the products. The website was built using responsive techniques, so it plays well and looks beautiful on iPads and mobile phones. We also built custom integrations with services such as Afterpay. 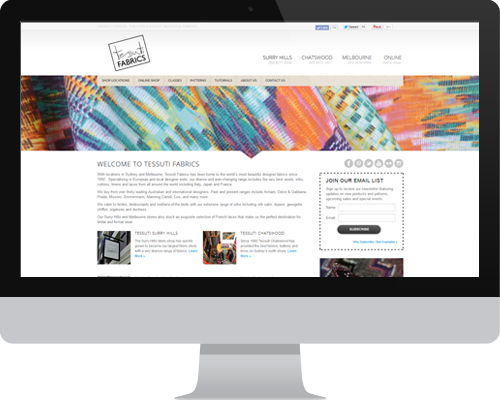 Tessuti Fabrics was one of our first Shopify clients - we started working with them 10+ years ago and still work with them today (we think that says a lot!). 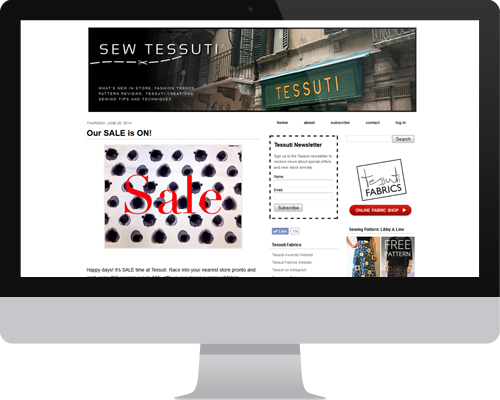 We've helped them design, build and maintain several websites over the years including their main Tessuti website, their online fabric shop built on Shopify and their Sew Tessuti blog. The Tessuti website has been redesigned a few times over the years, each time evolving with advancing technologies that make the user experience more enjoyable. 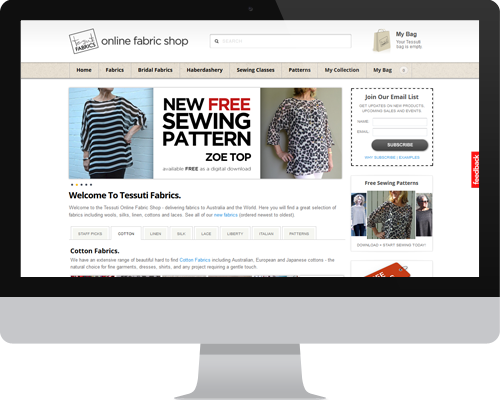 The online fabric shop has been an amazing success, starting out as a simple online store, it now sells downloadable sewing patterns, sewing classes and more! The Sew Tessuti blog has become the heart and soul of the Tessuti online presence, building a community around a shared passion for sewing and creativity.